The Center for Human Services Research (CHSR) is located at the University at Albany. CHSR has over 25 years of experience conducting evaluation research, designing information systems and informing program and policy development for a broad range of agencies serving vulnerable populations. Rigorous research and evaluation methods, strong relationships with project partners, and timely, accurate and objective information are hallmarks of CHSR’s work. 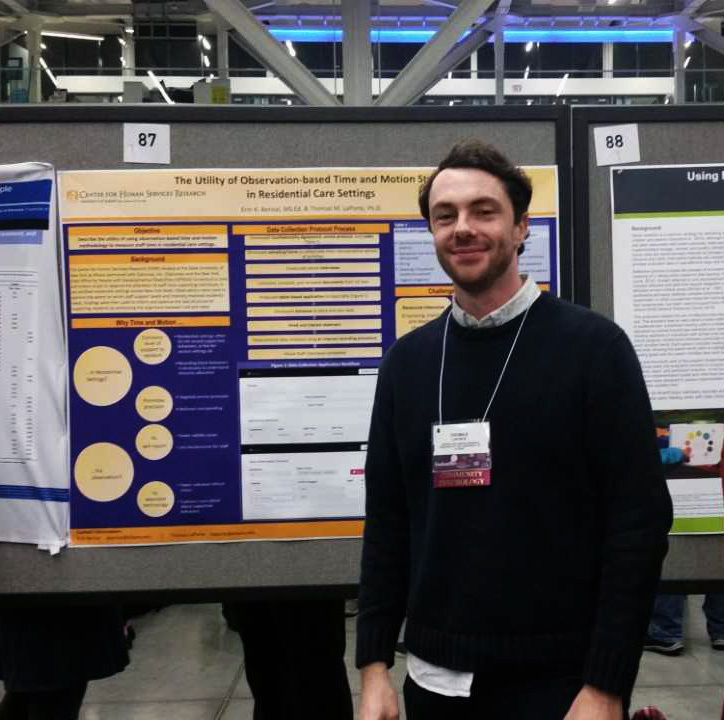 CHSR Research Scientist Dr. Thomas LaPorte presented findings on the OPWDD Time and Motion Study study at the American Evaluation Association’s (AEA) 32nd Annual Conference in Cleveland, Ohio. CHSR uses multiple research methods that are the most appropriate for the research areas of inquiry and populations being studied. CHSR designs customized computer information solutions to meet the programmatic, administrative, and evaluation needs of human service providers and government agencies. CHSR works with service providers to develop logic models, performance targets, and assist in preparing grant applications.